to the Doubleday Dancers Square Dance Club. Frances has been a member for many years. 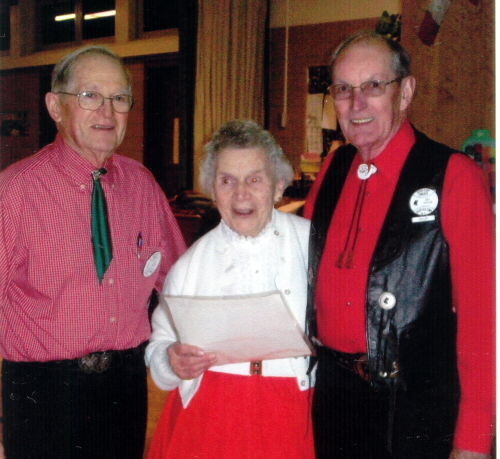 Pictured L-R Alan Grover, Frances Thayer, Ray Taylor.